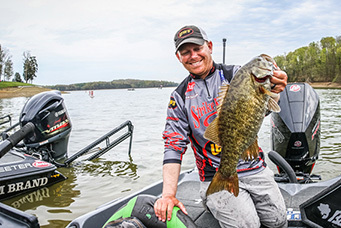 JEFFERSON CITY, TN – Pro Andrew Upshaw of Tulsa, Oklahoma, maintained his lead Saturday at the FLW Tour at the Cherokee Lake presented by Lowrance after catching five bass weighing 16 pounds even. KNOXVILLE – The Tennessee softball team will open its practices at Sherri Parker Lee Stadium to the public starting the week of April 15. The Knoxville Youth Athletics is hosting their annual summer track and field program for local East Tennessee youth. Tennessee soccer head coach Brian Pensky has announced the program's exhibition schedule for the 2019 spring semester. The slate features five matches during the months of March and April, including four at Regal Soccer Stadium and one road trip to Alabama. OAK RIDGE, TN - Tennessee kicked off its spring season over the weekend, snagging four first-place finishes at the Oak Ridge Cardinal Invitational. 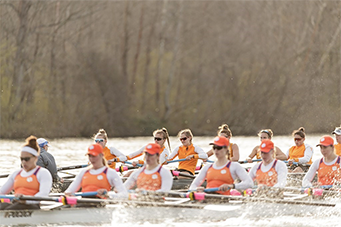 UT had five boats racing in three sessions spread over Saturday and Sunday.